..dan bukankah dia tetap berlalu..
A Beautiful Lady wanna be..
just to tell u the untold ones..
Lucky me, as a new comer in Balikpapan, i have a friend visited and took me around Balikpapan. 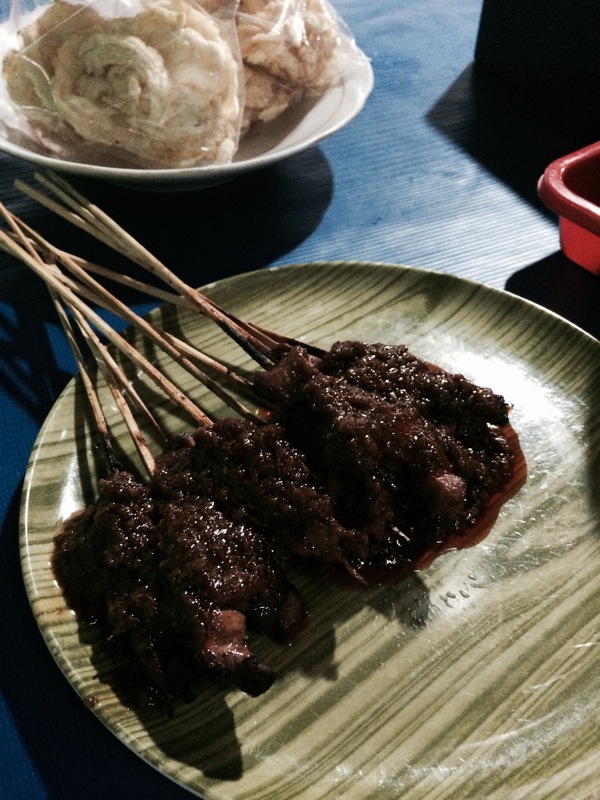 Then, Here is my story of a famous food in Balikpapan, Eastern distric of Kalimantan. 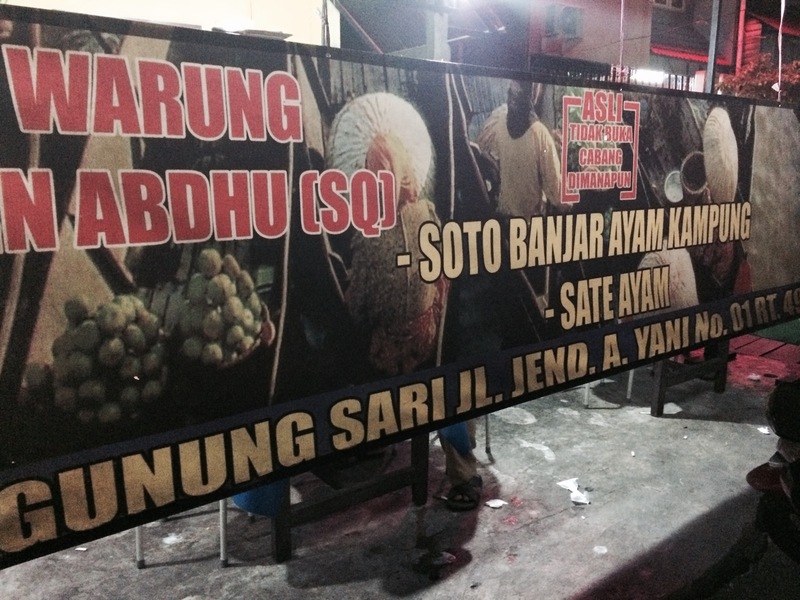 We went to Soto Banjar Gunung Sari, one of many street restaurant which sales Soto Banjar, to try this famous yummy food. 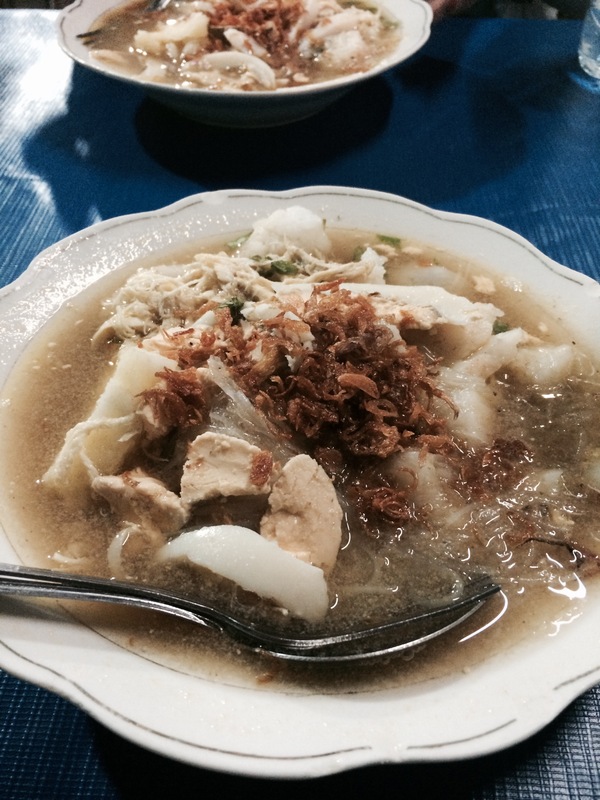 here the picture of Soto Banjar, a traditional soup contains of noodles, compressed rice, potatoes, chicken, some delicious bold ingredients and fried local garlic on it. They have a sambal, one of indonesian traditional chili sauce, as a additional ingredient especially for those who love a hot sensation. Dare to try? and we ordered chicken satay with traditional peanut sauce. So if u have a chance to visit Balikpapan, please stop by and try this Soto Banjar. And as per suggestion of my lovely friend Yevi Ika, pick this little “warung”. You’ll gonna fall for it!